With seeding finally wrapping up for us nearly two weeks ago, you might think that things have slowed down on the farm. You would be wrong! Finishing seeding in June tends to be anticlimactic; by that time, so many other things need to be done that you simply transition from sprinting through seeding to sprinting through everything else. This June has been particularly difficult, with continual, near daily rain and/or thunder showers disrupting our ability to get anything done. On top of that, it has been unusually cool so far this year; in fact, we have hardly needed our air conditioner on in our house! While the power savings are an obvious bonus, it is far too late in the year to not need air conditioning. 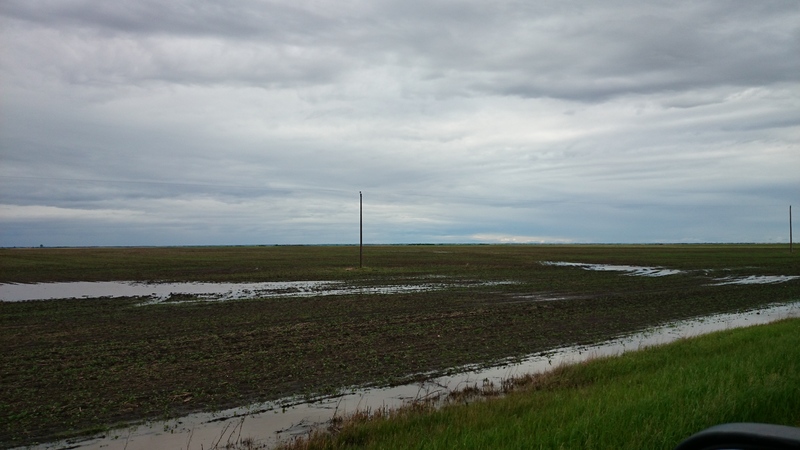 Crops are behind in their development, and the non-stop rains are starting to take their toll. Like humans, plants need oxygen to live. When the soil is saturated with water, all the pore spaces inside are filled. The roots cannot access oxygen, and other nutrients like nitrogen, phosphorus, potassium, and the like are all so diluted by water volume that the plant starts to starve. Plants don’t “drown” in the sense that the water itself kills them, they simply cannot access the nutrients they need to live. If water sits on the ground for long enough, the plant will reach a point where it can no longer recover, no matter what the weather does. We have lost many acres already from this, and if the weather doesn’t turn around, more and more acres will die out. The areas that do recover will have already lost an irreparable amount of yield potential. Frustratingly, the weather forecast is mostly bereft of the weather we need. More cool, cloudy, showery days linger ahead of us before a warm, dry spell is promised to take over. I’ll believe that when I see it, too. We seem to be in a weather pattern we cannot escape from; a persistently wet and cold climate that just will not break. This is not the first year we have had weather like this, either. Every year since 2010 has been like this, with incredibly stubborn weather patterns that refuse to break. And when they do, they seem to swing hard the other way, turning blistering hot and dry. We get one extreme or the other. Despite my frustrations, this weather pattern has produced some big crops for us. While 2010 and 2011 were wet enough that acres went unseeded and crops were wiped out from flooding, the last two years have been very good to us, with large crops resulting from the cool, wet weather. So, I don’t want to wish too hard against rain, because you never know when the next one will be. But when crops start to turn yellow from too much moisture (see image below), it’s time for a few hot and dry days. Moreover, weather like this is seriously troublesome when it comes to spraying. We have a lot of acres for one sprayer to cover, and we need more than just two half-days a week to get it done. Unfortunately, that’s all we’ve had! We had to spray almost all night earlier this week just to try and catch up before the next big rain pummeled us. Some chemicals need warm, sunny days to work properly, and we simply have not gotten them. So, we spray anyway, hoping for the best, hoping that all the expensive chemicals we applied will actually work. Despite all that, we have been able to keep up fairly well, with no fields in desperate need of spraying as of today. But that will change if we can’t get a few good days in this week. Even though the weather has been rather uncooperative, it’s hard to deny that June truly is a fascinating and exciting month. The crop is in the ground, and most of it looks excellent. 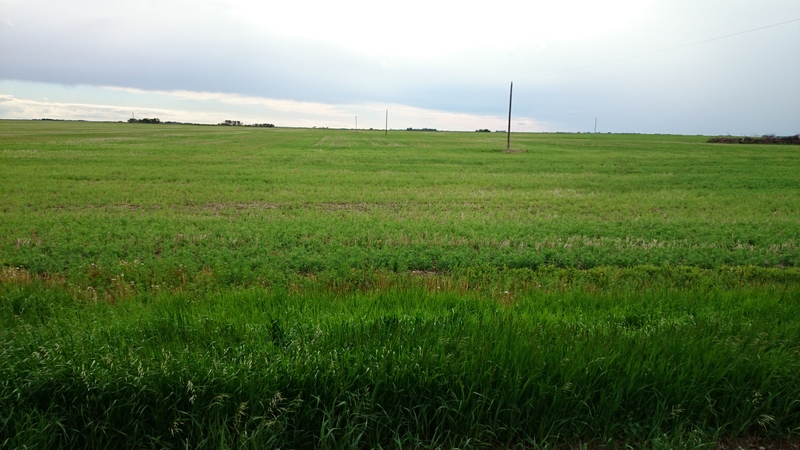 Aside from some flooded out areas and some fields that are starting to look a little stressed out, most of the crops are enjoying the abundant moisture, particularly the more advanced ones, like the winter wheat. 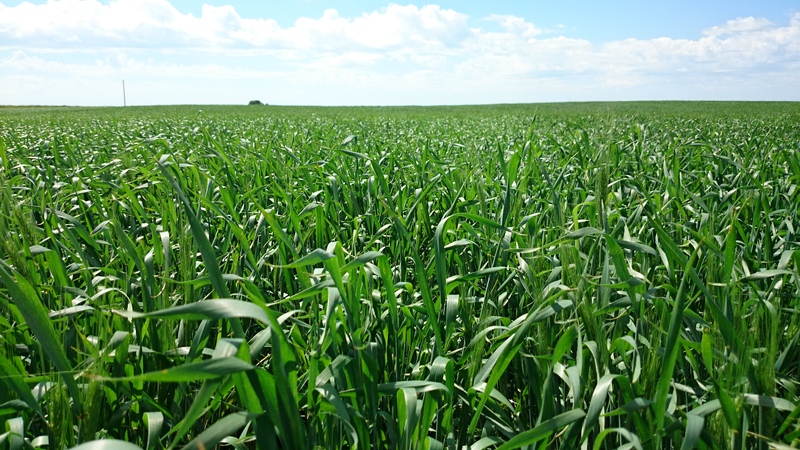 Crops change and grow so fast this time of the year, it can be hard to stay ahead of them. There is nothing I enjoy more than driving around in my truck or on my ATV, looking at our fields. It is hard to put into words the feelings of pride and excitement a farmer feels when looking at his crops. When will it be ready to spray for weeds? Will it need a fungicide? When will it need one? What kind of bug is that? Is it a bad one? And on, and on, until the final and most common one: What will it yield? 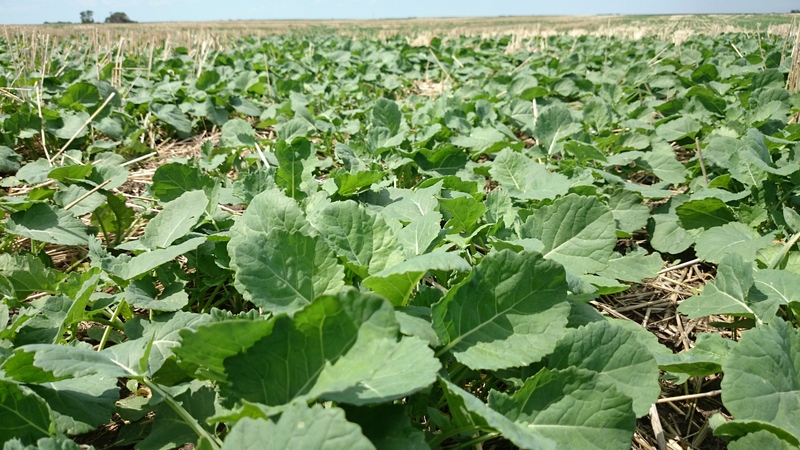 There are just so many things that can change throughout a growing season, so many things that you can do to improve yields, and so much potential for error. A single careless moment can cost you so much. Even something as simple as a mixing order mistake when loading the sprayer can severely compromise weed control efficacy, and can largely waste a tank of expensive chemical. Everything you do must be thought out so carefully; there is no room for error. Maybe that’s why I love farming so much; maybe that’s why it is such an addiction for so many people like me. The fast pace, the big dollars, the big equipment- it’s an adrenaline rush like nothing else. Standing out there in my fields, looking at crops that brim with potential, a brilliant green mass of life, changing every second, fighting for survival… it’s a feeling that is simply unexplainable. Perhaps the simplest word for it is awesome. As the days go by, as we push closer and closer to the inevitable harvest season, so many jobs have to be done. We still have close to a week of in-crop spraying left to do, and then fungicide season will begin. The sprayer will be very busy for awhile! In between that, we have grain to haul, grain to move around to prevent spoilage, air drills to clean up and put away, preparations to make for the harvest equipment… it’s a list that never seems to shorten. And, somewhere in all that, we all have yards that need work. Somehow, through all that, we need to find time to get away and relax, too. Farming will swallow up each and every spare moment you give to it. Sometimes, you just have to take some time off and get away. 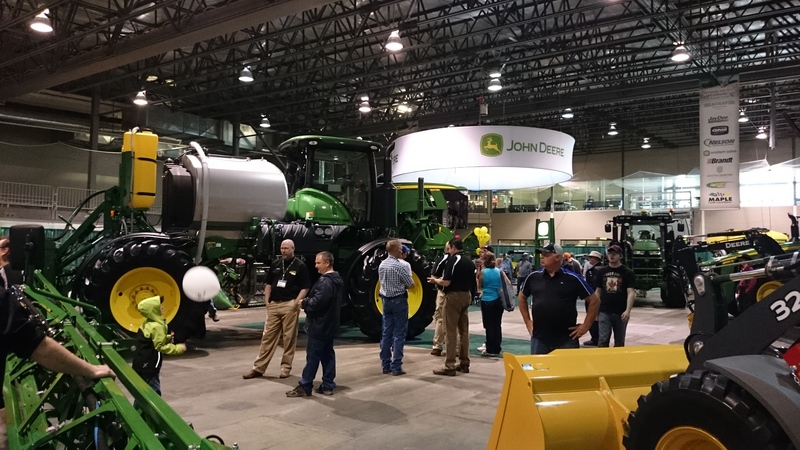 We did that on Thursday, completing our yearly expedition to Farm Progress Show in Regina, one of the largest farm shows of its kind in North America. It is an impressive and truly massive show to take in, and there is always much to learn! The pace of change in the agriculture industry is staggering. There is so much that goes on in June, from finishing seeding, to spraying, to going to the lake. I think I’ve shown here that despite its frustrations and challenges, there is no month quite like June. I will try and take in as much as I can for the final week of it. It’s hard to find your articles in google. I found it on 19 spot, you should build quality backlinks , it will help you to increase traffic.